The findings raise the possibility that studying this activity will yield insights not only into the caregiver response, but also when the response fails, such as in instances of child neglect or abuse. These adults have no children of their own. Yet images of a baby’s face triggered what we think might be a deeply embedded response to reach out and care for that child. While the researchers recorded participants’ brain activity, the participants did not speak or move. Yet their brain activity was typical of patterns preceding such actions as picking up or talking to an infant, the researchers explained. The activity pattern could represent a biological impulse that governs adults’ interactions with small children. From their study results, the researchers concluded that this pattern is specific to seeing human infants. The pattern did not appear when the participants looked at photos of adults or of animals — even baby animals. Along with Dr. Bornstein, the research was carried out by first author Andrea Caria, Ph.D., of the University of Tuebingen, in Germany; Paola Venuti of the Department of Cognitive Science of University of Trento in Italy; Gianluca Esposito of the RIKEN Brain Science Institute in Saitama, Japan; researchers from the Max Planck Institute for Biological Cybernetics and Eberhard Karls University, in Tuebingen, Germany. Their findings appear in the journal NeuroImage . To collect the data, the researchers showed seven men and nine women a series of images while recording their brain activity with a functional magnetic resonance imaging (fMRI) scanner. In the scanner, participants viewed images of puppy and kitten faces, full-grown dogs and cats, human infants and adults. Premotor and preverbal activity — The researchers documented increased activity in the premotor cortex and the supplemental motor area, which are regions of the brain directly under the crown of the head. These regions orchestrate brain impulses preceding speech and movement but before movement takes place. Facial recognition — Activity in the fusiform gyrus — on each side of the brain, about where the ears are — is associated with processing of information about faces. 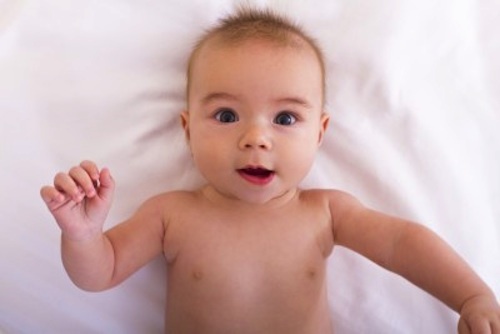 Activity the researchers detected in the fusiform gyrus may indicate heightened attention to the movement and expressions on an infant’s face, the researchers said. Emotion and reward — Activity deep in the brain areas known as the insula and the cingulate cortex indicated emotional arousal, empathy, attachment and feelings linked to motivation and reward, the researchers said. Other studies have documented a similar pattern of activity in the brains of parents responding to their own infants. It’s equally important to investigate what’s happening in the brains of those who have neglected or abused children. Additional studies could help us confirm and understand what appears to be a parenting instinct in adults, both when the instinct functions and when it fails to function. Caria et al. Species-specific response to human infant faces in the premotor cortex. Neuroimage. 2012 Apr 2;60(2):884-93. Epub 2012 Jan 2.